As we drove towards Pattaya we passed the ferry port for Koh Samet. 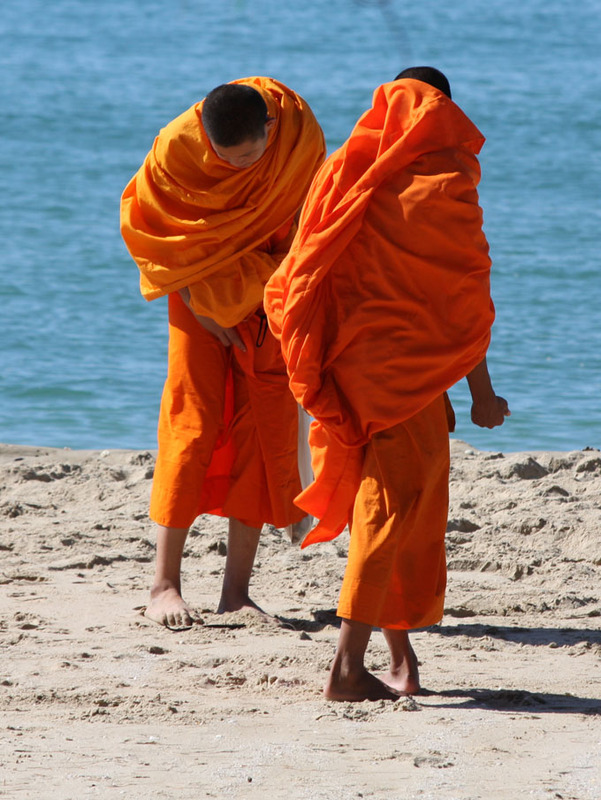 Just along the road we watched as two monks collected shells on the beach. The colours stood out beautifully against the sand and the sea. It is starting to get more built up as we continued past the ferry port and we saw the first high rise buildings since China! We decided not to go to the island itself as we had spent quite a lot of the last week on beaches and fancied seeing something different. We do not usually make for big town and cities, but felt ready to visit some shops, bars and restaurants. It is Graham’s birthday on 29th and so we decided that we would find a hotel for a few nights to recover from some very hot nights in the camper. 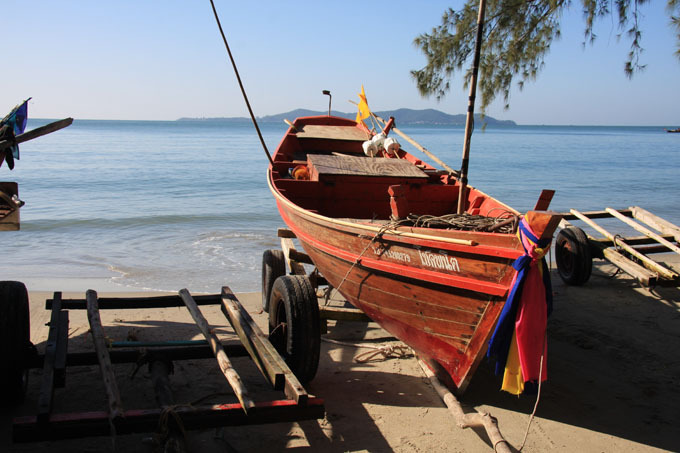 We decided to stay south of Pattaya in Jomtien as it is more family orientated rather than Pattaya’s main beach area. Both resorts are very popular with Russians. Shops have signs in Russian. Russian food is available and offices offering tours are manned by Russians. There are also lots of French and Scandinavians. Surprisingly few English. 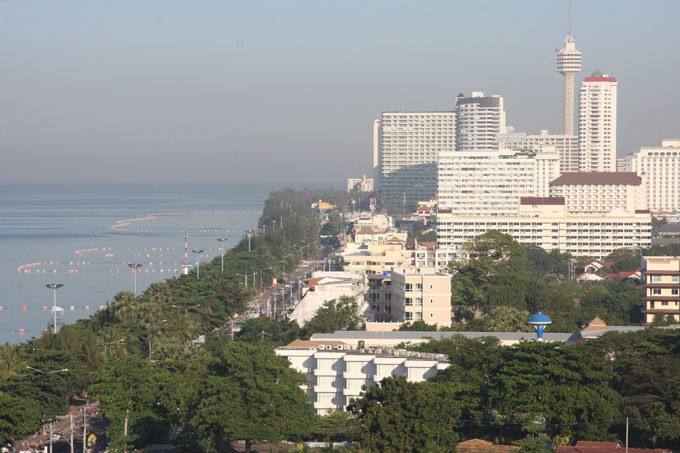 There are however lots of very old men in Pattaya, but being the friendly people that they are, the Thai girls hold their arms to steady them on the slightly uneven pavements. How nice is that!